Let this floral-fruity scent uplift your senses and inspire you to “paint” a vision of what could be. The sky’s the limit! Top notes include black currant, apple blossom and rhubarb. Middle notes feature freesia, sandalwood, orange blossom and salicylates. Bottom notes include velvet musk, blonde woods, benzoin tears and golden amber. Pair the Fragrance Mist with Paint the Sky™ Shower Gel and Body Lotion to create a collection. Ideal gift for the graduate or the creative person in your life. Grab a paintbrush from the clouds, and let the sky be your canvas on which to dream. This scent’s whimsical arrangement of apple blossom, freesia and orange blossom lifts you off the ground and into endless possibilities for making your dreams come true. 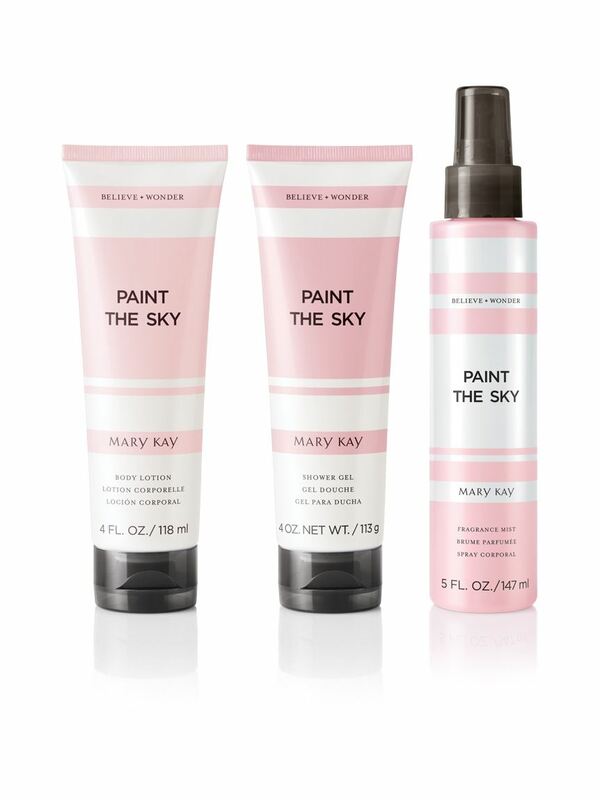 Enhance the experience with Paint the Sky™ Shower Gel and Body Lotion, each sold separately. 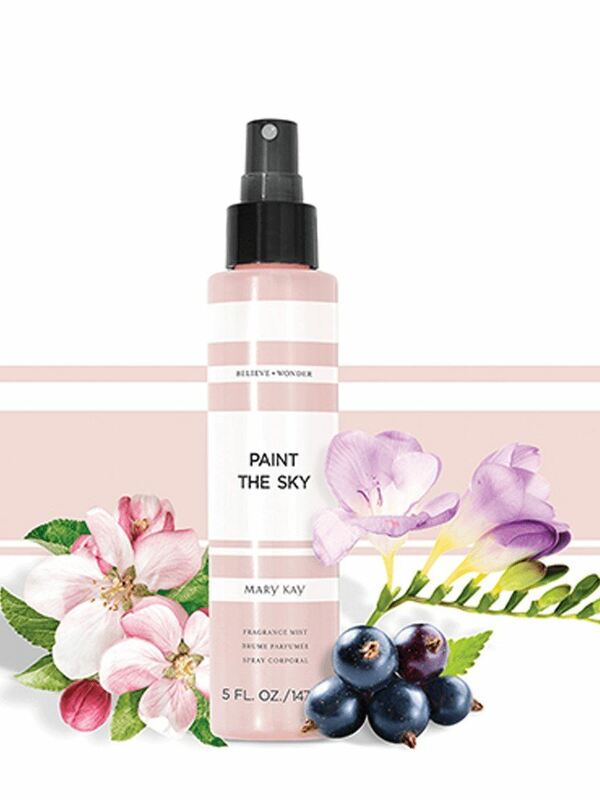 Paint the Sky™ Fragrance Mist is part of Believe + Wonder™, a collection of inspirational fragrance mists, shower gels and body lotions which also are available in Sail to the Moon™ and Chase a Rainbow™ scents. Each scent is designed to open your eyes to the infinite possibilities all around you and wonder: What if? What now? And what’s next? Clarify your next move by believing in the power of your dreams.